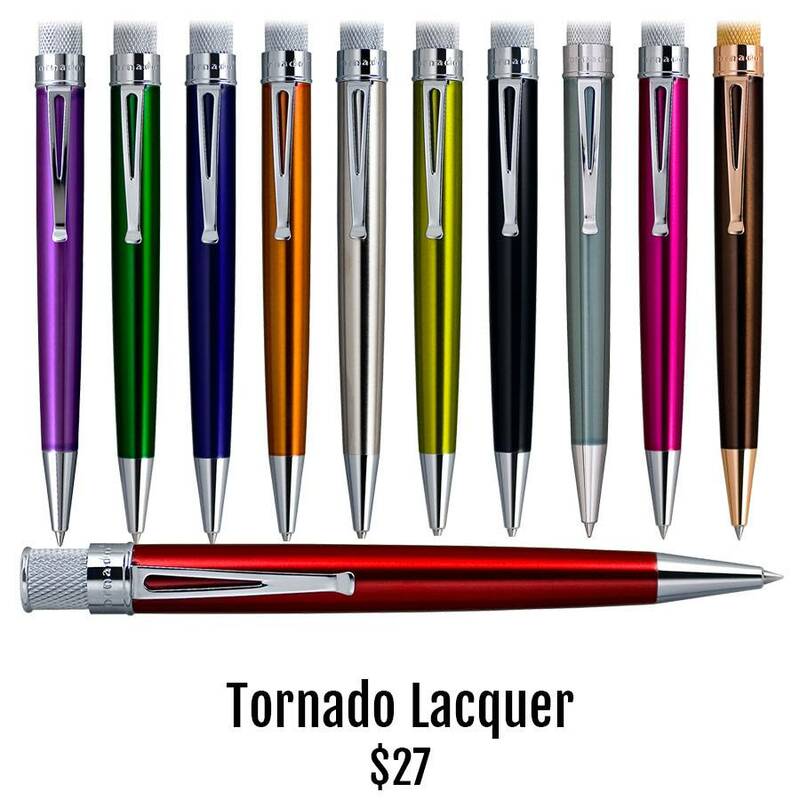 Straight from the Fifties, these nifty Retro 1951 Lacquer Tornados may be our most popular pen under $30. Just twist the chrome knurled cap and your point extends. Any of the eleven brilliant lacquered finishes make an excellent choice for corporate logos or personalized engraving. We'll engrave from one to a thousand or more; just ask. Refill your Lacquer Tornado with the original capless rollerball refill or order any Parker-style refill in three ink types, multiple point sizes and colors.